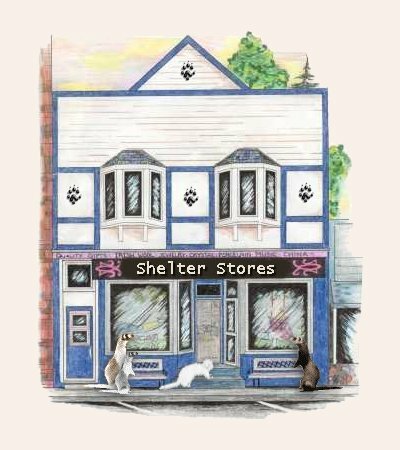 On this page I will have listed "Stores", ie: Personal Stores, Shelter Stores, E-bay Stores, that sell items, ferrety or not, that all or part of the proceeds goes to help ferret shelters. 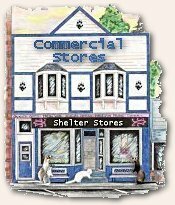 I will also have a few Commercial Stores that have made a concerted effort to help Ferret Shelters. If you know of a Store, Ebay Store, or just a person that makes and sells items with this goal in mind, that is not already on this page...please e-mail me the info and I will try to get it right up. Also, if I have missed getting anyone up on this page that has requested to be put on here...PLEASE e-mail me right away and I will get it right up!!! Along these same lines, if I have put something up in error, PLEASE e-mail right away and I will correct it! P.S. ALL LOGO'S ON THIS PAGE ARE THE PROPERTY OF THE OWNER. PLEASE do not copy or use them without the express written concent of the owner! Glass Stuff, Wood Stuff, Paper Stuff, Odd Stuff, Stuffed Stuff. Ferret Bedding, Playpads, Toys, People Items! One stop shopping for all your ferret(s) needs! Welcome to Weaselpal Sleepers and Hammocks! Specials, Art & Collectibles, Books & Supplies, Just for Fun, Jewelry & Clothing, New Products. Proceeds from every FerretWare purchase benefits ferret rescue in California. Dogs, Cats and Other Four Legged or not Friends. Some REALLY fun stuff here!!!!! you GOTTA go see it!!!! 50% (or more, LOL) goes back into the ferret community, either via SOS, to pay for donations to raffles, donations to card exchanges, etc. or donated directly to a shelter in need. I started the Store just to create items for myself, then decided to share them with others that like the same things. I saw a market for not only my own creations, but also a way to help people by doing personalized items of their own companion animals. And it was a way for me to give back to those that do so much for the ferret community. 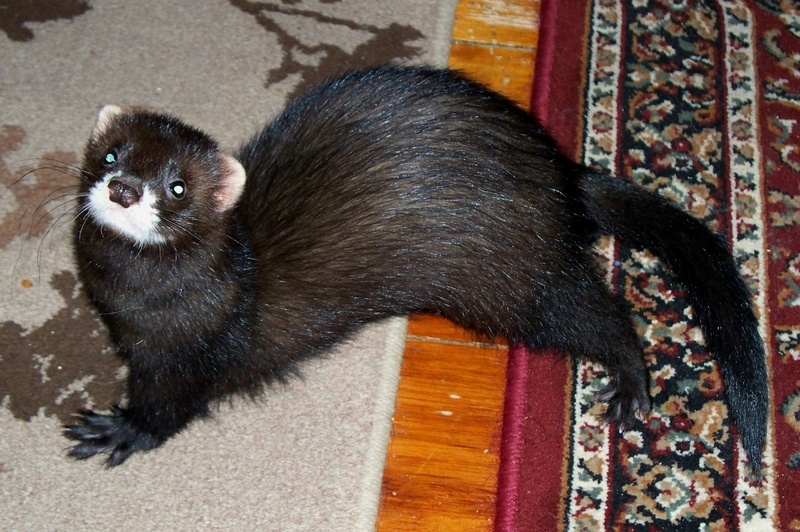 Three Rivers Ferret Council, Inc.
Little Feet Ferret Bedding Premium Quality Bedding you will be Proud to OWN! LFFR Bedding is known in the Ferret Community for spectacular, long lasting beautifully Handcrafted bedding since 2001. Our goal is and always has been to provide a permanent, loving, carefree home for ferrets in need and helping others by donating our high quality bedding products for Raffles, Ferret Shows & Shelters to help others raise funds. LFFR Bedding items are Handcrafted in a PET FREE building as we respect our buyers . Quality, Durability and Affordability has always been our motto. premium quality materials, seams are double stitched , close cut for safety. We do not use a serger/overlock to finish -as it may look great but having toenails exposed to so many loops of thread could be a hazard. prevent damage to your washer and dryer and offer sewn in metal swivel clips if desired or option of grommets & removable hooks. Contact LFFR today for awesome bedding you & your Ferrets will be proud to have. At LFFR-we settle for nothing less than the Best Quality products! 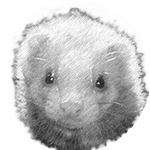 Welcome to Ferret Wise Funalia!, a catalog shopping fundraiser. Custom bedding at ready made prices. Come see our huge selection of fabrics and unique machine embroidered designs. A portion of all sales is donated to a local shelter. Beautiful bedding for the spoiled ferret. Another site with Shelter Shopping Places! Our Goal is to provide Beautifully Hand crafted, Premium, durable, long lasting bedding that is Quality you can Trust, Affordable for ALL Consumers and OUR Bedding is Handcrafted in A PET FREE BUILDING!! We are self-supporting & Provide a permanent loving home for Former Rescues. To Help the California Rescues. What a unique conversation piece or GIFT. Absolutely no molds used in these pieces. No two are ever alike as they are handmade and they are truely a one of a kind unique item. Makes for a different kind of display or a different kind of gift to give to another Ferret owner, Ferret lover, Ferret veternarian, or to give to a shelter. To SUPPORT OUR SHELTERS "Ferret MOMS" provide unique things 4 ferrets & their humans. 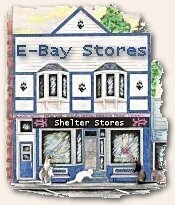 Shop for quality polar fleece bedding, playpads, food, art, magnets, rare collectibles, clothes, jewelry, cookie cutters, stationary, perfume, safe p-nuts, soap, calendars & favorite items like treats & toys. DOOK! A collection of new and unique gift items, sewn items and collectibles. A wide variety of items! A little of something for everyone! Gifts, Crafts, Ferret related items, Pet items, New and Used Items and Clothing. COMING SOON: .99 cent items. All money from items listed go towards vet bills such as surgery and meds for many of my "oldsters" ferrets. Animal Figures, Vintage items, and much more. Keep checking , always something new added. Your purchase helps feed the animals. Below retail iron-on, iron on patches, appliques, motifs: animals, flowers, butterfly, inscects, Disney. Also ribbons, sewing, trims, braids, tassels, fabrics, crafts, vintage china, porcelain, glass, silver, toys. Offering ferret, pet gifts & supplies to benefit Ferret Association of Connecticut. however only the ferret items specifically noted directly benefit the Ferret Association of Connecticut [FACT] shelter. President - Ferret Association of Connecticut, Inc. Welcome to the rez! Always selling bedding and other fun stuff to help the ferrets.